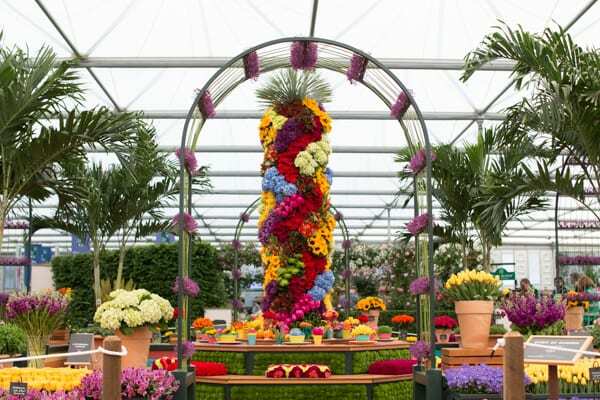 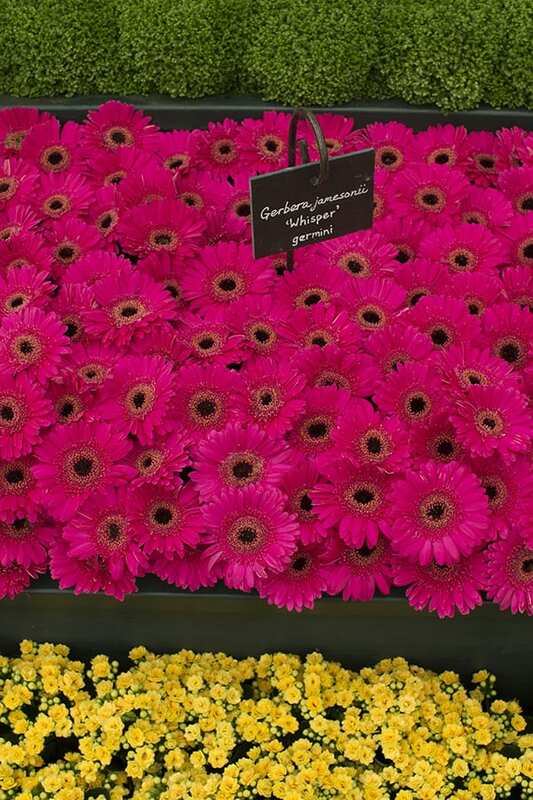 Huge congratulations to Marks & Spencer for winning a Gold Medal for their Spirit of Summer : Carnival of Flowers exhibit at the RHS Chelsea Flower Show! 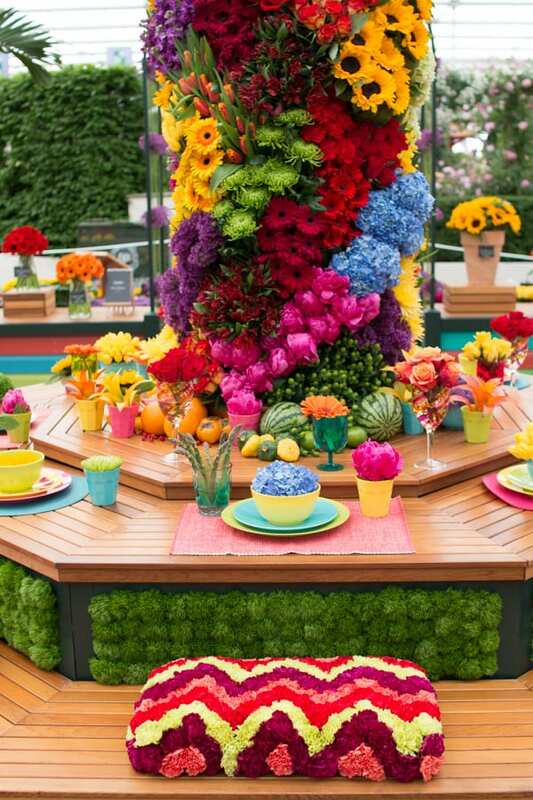 Their design celebrates floral and cultural diversity, and showcases blooms from around the world. 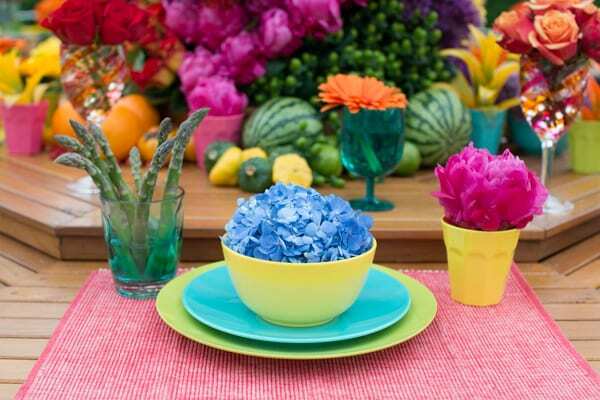 Vibrantly coloured, the exhibit is split into four sections and features cut flowers and potted plants from the UK, Europe, Africa and South America. 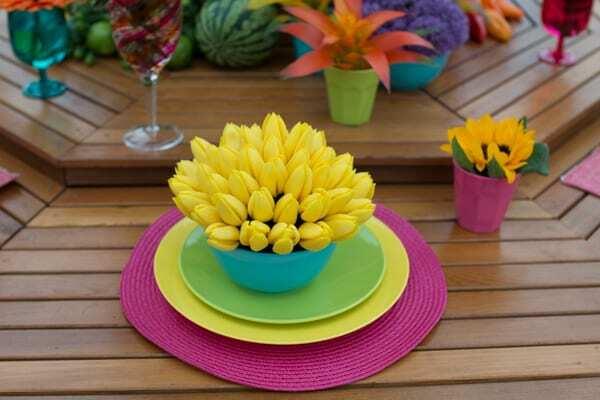 Just how pretty are these place-settings around the central table…? 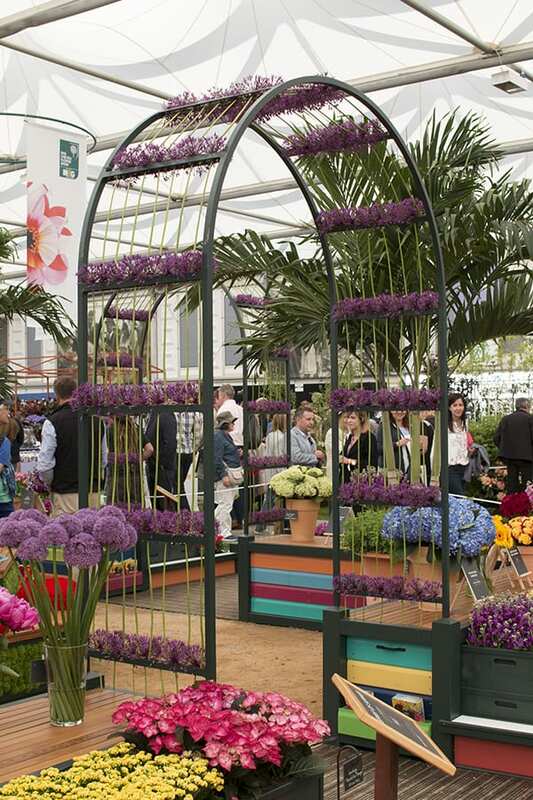 And how fabulous do these alliums look woven into the arch? 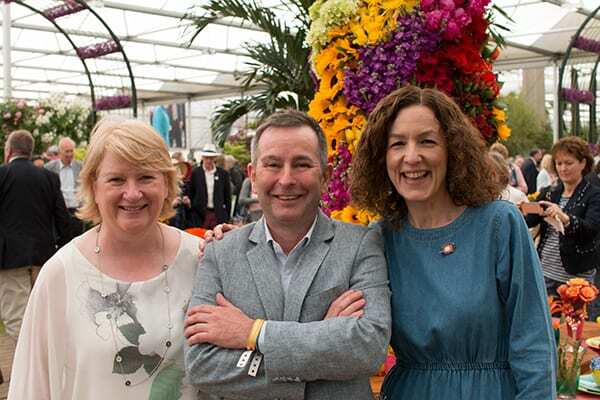 Whilst I was at the show yesterday, it was lovely to catch up with Frances Hunter from The Floral Angels and Flower Expert Simon Richards from Marks & Spencer. 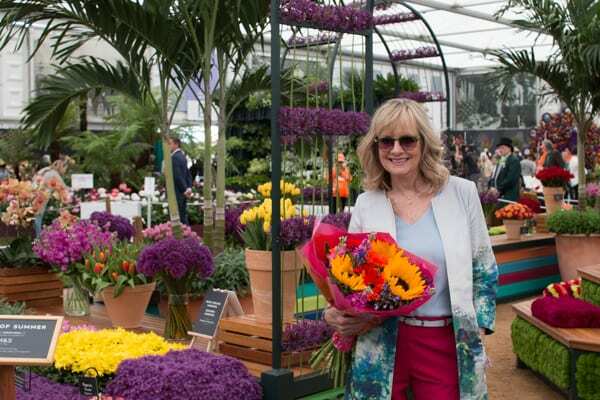 Some of you may know that I’m a Co-Trustee of The Floral Angels charity and I was delighted to connect the Angels with Simon. 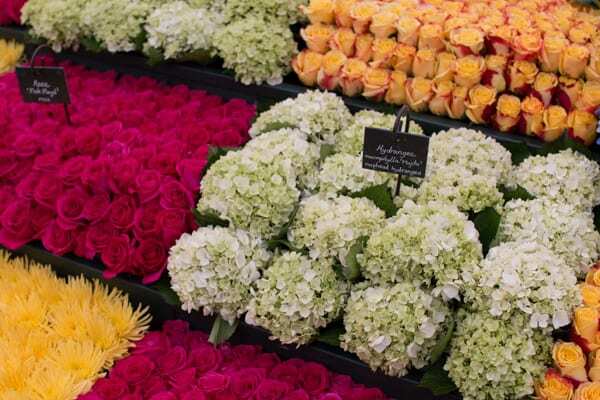 Marks & Spencer now regularly donate flowers to the charity. 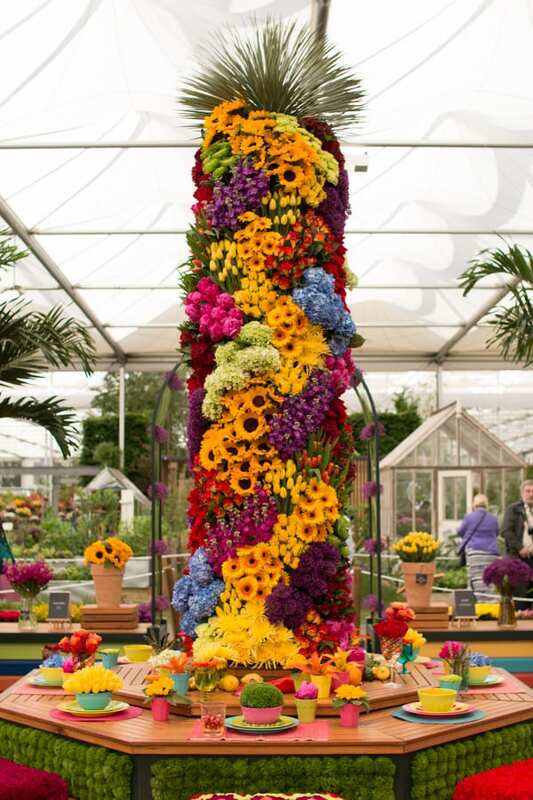 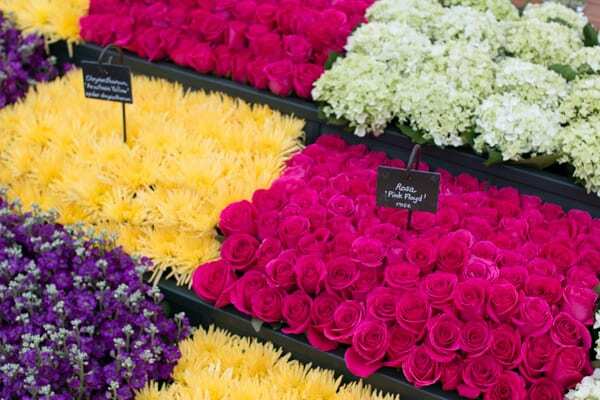 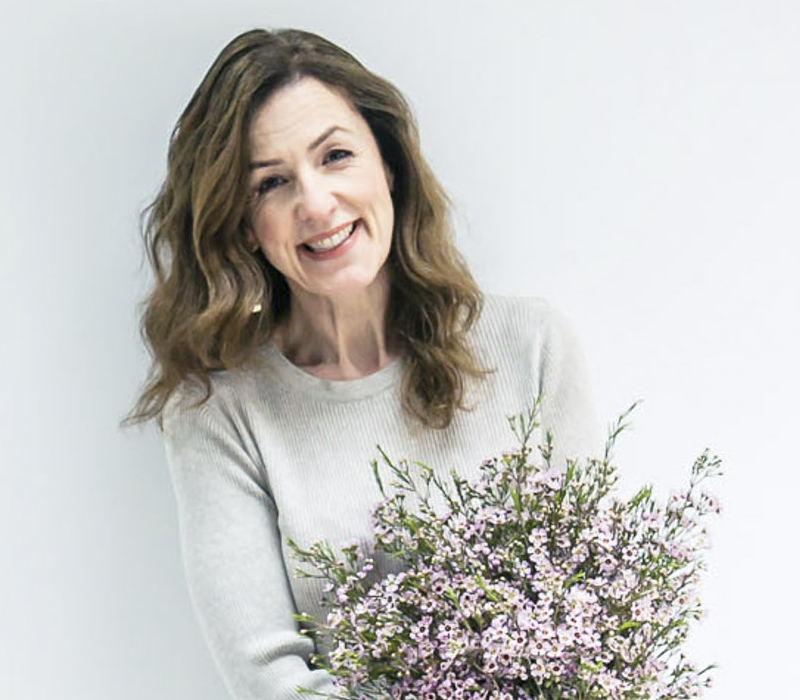 With regards to Chelsea, not only have The Floral Angels been able to use the flowers from the M&S practice builds, but they’ll also be benefitting from the Sell-Off on Saturday! 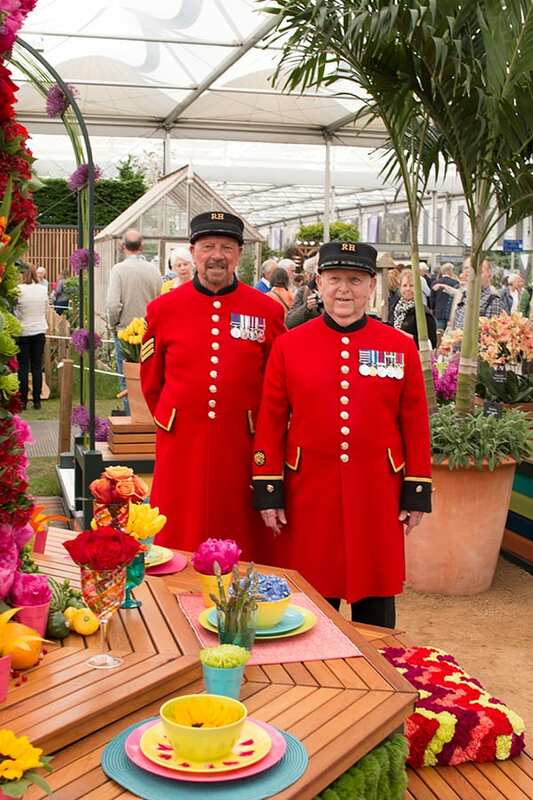 Many congratulations too to Nicola and John Sallis Chandler from Sallis & Chandler who designed and built the exhibit. 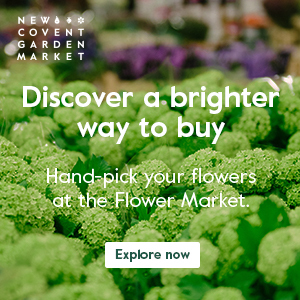 And also to all the flower and plant suppliers – Flamingo Flowers, MM Flowers, Double H Nurseries, Butters Group and The Palm Centre. 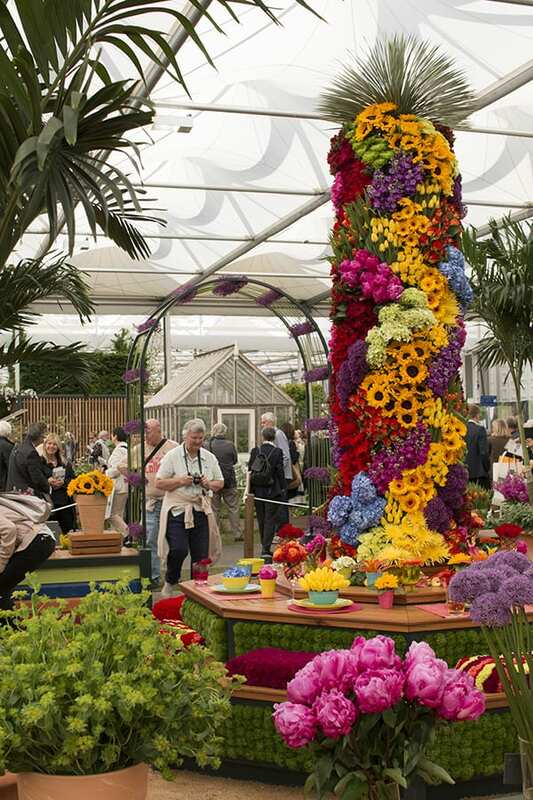 Click here for a wonderful video documenting the journey to Chelsea from start to end!